Khloe Kardashian And Tristan Thompson's Reunion At True's Birthday Party Makes Us Wonder If They'll Reconcile! 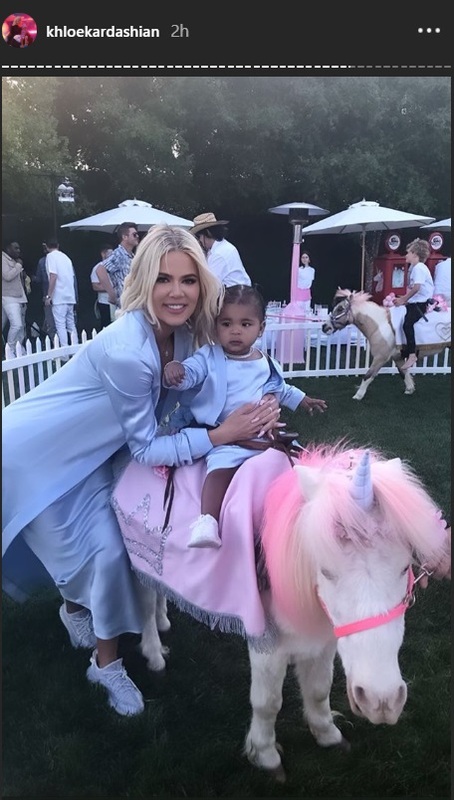 Khloe Kardashian threw a fancy birthday party for her baby girl True Thomspon on April 12 to mark her one-year birthday. Interestingly though, the guest list also had estranged daddy Tristan Thompson! The Keeping Up With The Kardashians star brought together all her loved ones to celebrate the first birthday of her baby girl. 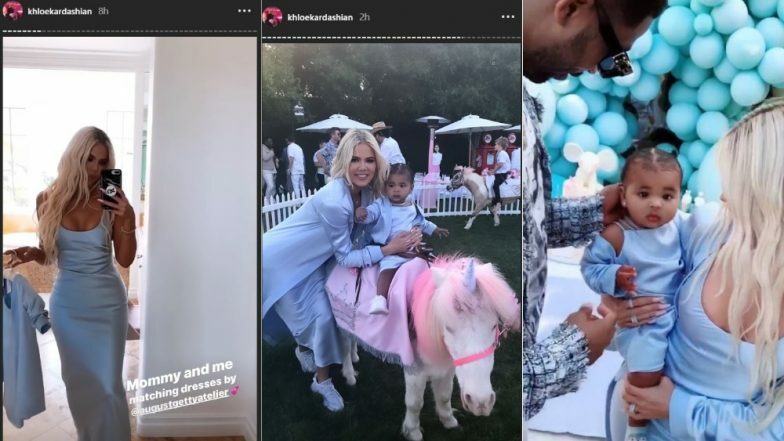 With ponies dressed as unicorns, innumerable balloons decking up the hall and tremendous photoshoots of True and Khloe in matching ensembles made it one heck of a birthday party. 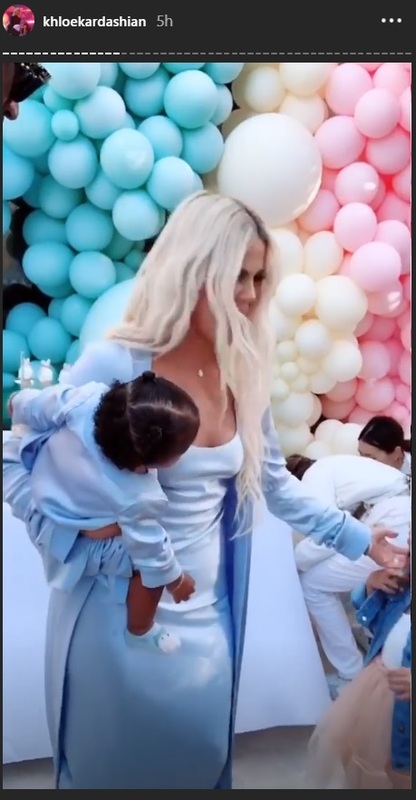 In a series of clips shared on Khloe's Instagram Story, True is seen having a gala time with both her parents at her first birthday party. While most of the clips and pictures on her story had herself with True and all the decorations of the venue. However, one such clip also had daddy Tristan approach True, who was happily resting on her mother's hip. Their reunion sure made netizens talk about a possible reconciliation. The couple called it quits about two months amid the cheating scandal which involved Thompson with Kylie Jenner's best friend Jordyn Woods. 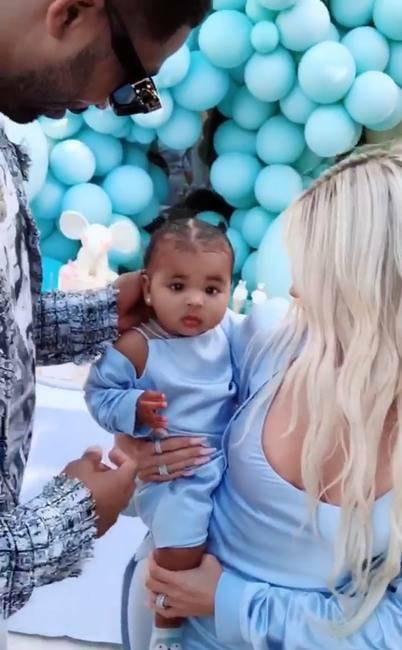 After confirming that they are going their separate ways, Tristan and Khloe did affirm that they will co-parent True and keep their focus solely on her. Looks like they are living up to the promise made by throwing such a fabulous party. Apart from Thomspon, the others who attended the birthday party were Kim Kardashian, North Westm Chicago West, Kourtney Kardashian and more. They all took to their Instagram to share updates from the fancy birthday party of True Thompson.